MiShel Designs: Focus on Life: 52 Photos - COLOR! 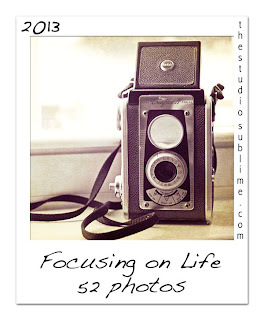 Focus on Life: 52 Photos - COLOR! "Did you ever notice the way color can effect our mood and perception of the environment around us? Colors can elevate our mood or change our perception of an object. Whether photographing a full shot of amazing colors or small pops of color against a muted background, this week break out your camera and capture some color. Think about how the colors of the shot effect your mood, feelings, perception of your surroundings! Focus on how the colors impact your decision to take a particular shot." Each week these challenges capture my attention and make me think about and focus upon something that I normally take for granted or am in too much of a hurry with 'life' to slow down and appreciate on a daily basis the way I should. 'Feel' the colors and how they affect my moods; how they excite, how they mellow, how they make me smile! Just take a look at the colors in these beads. 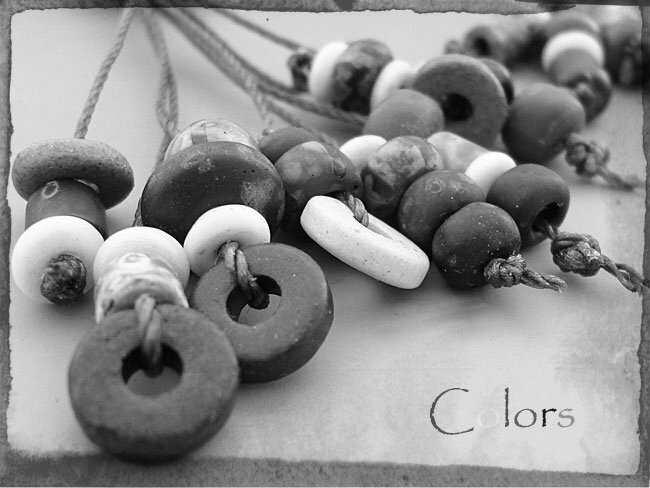 Rather rustic and muted in appearance, yet vibrant compared to the black and white photo of the same beads below. Think of how different our world would be with out all the amazing colors we have around us! Pretty heavy thought there, isn't it?! I love that we have COLOR in our lives!! Oh, and here's some pink and green. These colors just make me happy!! The Studio Sublime is capturing today! Peace, Love and Colors, Baby!! now those are my kinda beads - i adore the muted, rustic shades! but you're right, they fairly POP compared to the b&w version - a great post! Thanks Claire! I'm really drawn to muted/rustic colors, too! I know, me either Lynsey!! 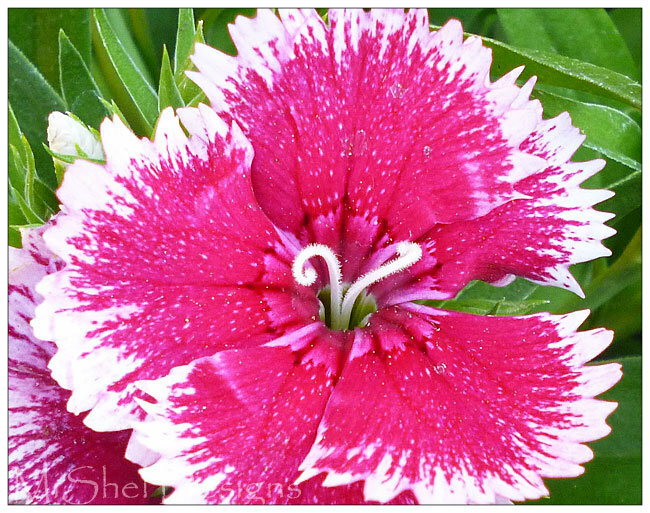 That dianthus is gorgeous... they often live through the winter here... but none are blooming yet! Are you beads a necklace? what does it look like... I wann see it! Oh - I'd love to show you the earrings I have created with these beads, but I sent the to a magazine and have to wait until they're published. So sorry for the tease,..I know that's not fair!! But they are really cool beads! I love the rustic colors and the pop of the pink and green. All these blogs on colors are making me realize how many different combinations I like! I know, this week's prompt made me really look at colors a bit differently and put combinations together that I normally wouldn't have - it's a fun challenge this year, isn't it?! I always lean to colours with a little mud in them. that's where I like to be. Then, like this fabulously bright pink feels quite fresh and vibrant, perfect for a flower. I guess nature's got this whole thing down. Great job capturing it. Boy, you got that right - nature really does have the whole 'color' thing down pat! It's amazing all the colors and different combinations I noticed while out on my walks this week - colors everwhere!! those colors are so rich in those beads Shel! I can't wait to see what you do with those! Gorgeous! I love rustic aged... Those make me happy, too! Me too, Janet. I love rustic, aged, old looking beads - the just have such depth!! Love the muted colors of the beads and the pink flower is gorgeous set against the green leaves. Thanks Therese. The Pink really pops!! I like how you added color to the words in your post. Pink and green make me happy also. Beautiful, colorful beads!!! And that pretty flower would certainly cheer anyone up with the lovely color. Those are lovely beads. Good luck with the publication! What wonderful colors and beads! They are earthy. Love the dianthus too. Both of those photos are gorgeous. I love those beads. The color in the flower is just amazing, though. The pink and green look awesome together. Pastels and muted colors are my faves! Pink is my favorite color, so your post has me oohing and aahing! I have a thing for this color of bright pink, that's for sure! Interesting to see the different between the color and b&w photo. We all love our color! It was interesting to see how bright/vibrant these muted/soft colors looked after viewing them in B/W. I am so glad we have color in our lives!! Shel your post this week with it's contrast pic shows color at its best. I remember as a kid hearing that mother nature has every color in her and thinking what about neon green and florescent pink. As I aged I realized she really does have all the colors. I have seen neon green bugs and florescent pink sunsets. The thought of no color in our world is kind of frightening. I used to think, "how can nature product this weird color of green or purple or orange? and then there it was,...like you said. Mother Nature really does give us all the colors! Really love those beads too, I guess it is the earthy rustic feel they have to them. I can see so many great possibilities and would love to see what you make with them. I think I have some similar beads and want to use them but I tend to hoard the ones I like. I know there is no-one else who does that! Beautiful rustic beads. Love the colors. They are so enduring. Makes me feel grounded. Great post.